What Can We Expect During the Millennium, Part 5? 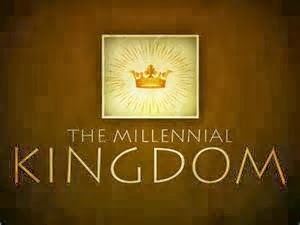 There are several things about the upcoming Millennial Kingdom that Christians especially should be aware of because it helps us understand the plans of God and what we can expect to occur at the beginning of the next age, the Messianic Age, in which Jesus will physically reign over all the earth. This period will be known as the Millennial Kingdom. Readers are encouraged to read the first four parts of this series, found here, here, here, and here. We will touch on these subjects in the remaining parts of this series, but we want to use this particular installment to highlight and discuss the overall character of the coming Millennial Kingdom, also known as the Messianic Kingdom. What will the outward expression of this Kingdom be like for those living in it? The messianic kingdom will be characterized by removal of oppression in human society and universal peace in international relations (Psalm 46:8-9; 72:7, paralleled by harmony in the animal kingdom (Isaiah 11:6-9; 65:25). There will be universal knowledge of God and perfect obedience (Isaiah 2:3; 11:9; 44:4-5; 45:8, 17; 55:13; 59:20-21; 60:21; 65:13-16; Jeremiah 24:7; 30:9, 22; 31:1, 31-34; 32:38; Ezekiel 36:24-32). It is very difficult for the average person to imagine a society where oppression no longer exists and true, unqualified peace reigns. We would remind readers that this will be the case because of the fact that Jesus will rule with a rod of iron, as the Scripture notes (Revelation 2:27). If Jesus were to ease up restrictions, both oppression and conflict would become a normal part of society then as it is now and has been since the fall of humanity. It is also important to understand that God will have poured out His Spirit upon mankind as He promises to do so in Scripture (Joel 2:28; Acts 2:17). Since the very early portion of the 1900’s, world leaders have tried to gain and maintain peace throughout the world. This was first attempted through what was known as the League of Nations, which was “an intergovernmental organisation founded on 10 January 1920 as a result of the Paris Peace Conference that ended the First World War. It was the first international organisation whose principal mission was to maintain world peace.” This organization failed to maintain peace as we know because World War II occurred beginning in 1939 and lasted until 1945. The next organization that came into being with the same alleged intent to help maintain peace throughout the world was the United Nations, which by all accounts has also been a complete failure. This organization started in 1945, following the end of WWII, with 51 member states. That number is now 191, yet we are no closer to global peace now than we were at its inception. There have been many wars and conflicts since the UN came into existence. The truth is that nothing human beings can do will create or maintain true peace for any real length of time. This is due to several things as the reader well knows. Every once in a while a person comes along who believes he should rule the world or his corner of it. We have seen this with the likes of Mussolini, Stalin, then Hitler and others, whether it’s been a desire to control just one country or the entire world, that attitude comes to the fore too frequently. Then there are those who gain financially because of war and armaments they sell. Whether through narcissism or greed, wars and conflicts will continue and of course, this has been foretold by God Himself in Daniel 9:24-27. Beyond this, nations have always been at war and quite often are so due to ethnic cleansing; one ethnic group wants to do away with another ethnic group. History is replete with examples of this. One of the more well known attempted genocides in modern history was during WWII when Hitler and the Third Reich attempted to expunge the world of all Jews, but this is only one such attempted genocides. There have been many attempted genocides from others under the Soviet Union, the Ottoman Empire, Cambodia, Rwanda and many others. People have been against people nearly since the beginning of time. Prior to Genesis 11, people enjoyed one culture and everyone spoke the same language. This is the way God had created humanity. It was only after God confounded man’s language by introducing many languages to bring to nothing Nimrod’s desires to rule the world did people begin to see differences in others and began to hate those differences. Nimrod had brought everyone together as though they were one in thought and purpose and God divided them for their own good. When God introduced languages, Satan wasted no time pitting people against people based on the differences in the many languages and cultures that came into existence. That situation continues to this very day. Only when Jesus returns and under His rule will this tension between cultures evaporate. The coming Millennial Kingdom will usher in an unprecedented time of peace throughout the world and Jerusalem itself will be renewed. It will also literally become the center of the world. As far as God is concerned, Jerusalem (along with the nation of Israel), has always been the center of the world but during the Millennial Kingdom that truth will be made clear so that the entire world’s population will recognize that fact. We learn from Ezekiel that God currently considers Jerusalem to be the center of the world, though He allows the world for now to not recognize that truth. The above Scripture is referring to the plans and intents of a future person known as “Gog,” which is a title, not necessarily a name. He is Gog of Magog and he plots to attack Israel for his own gain. Jehovah speaks through the prophet Ezekiel telling us what will happen at some point in the future when Gog seeks to come against Israel. The short story is that Gog will fail, miserably (cf. Ezekiel 38-39). The last part of the verse 12 is still from God’s perspective regarding the fact that Jerusalem is the center of the world. It is natural then that Satan would want to try to change the way global society looks at Jerusalem, Israel, and Jews in general. Hence the reason for the world’s hatred of Jews and Israel. Those folks who support boycotts against Israel and who side with Arabs in an alleged two-state solution are actually working against God as they side with Satan. This attitude that is so rampant today will all change during the Millennial Kingdom. Jerusalem will be redeemed, renewed, purified, sanctified, restored, rebuilt, adorned, honored, repopulated, expanded, transformed, and glorified (Isaiah 1:26; Jeremiah 33:16). God’s radiant glory will emanate from the city (Isaiah 60:19-20; Ezekiel 43:1-9). Consider the fact that in the Old Testament, the God’s glory shown forth normally from the Ark of the Covenant within the Holy of Holies. There were also times when this same glory was a visible pillar or cloud, protecting the Israelites and guiding them as they moved through the wilderness during the day (Exodus 13:20–22 and see also 2 Chronicles 7:1-3). In the future, during the Millennial Kingdom, God’s glory will literally emanate from within the city of Jerusalem, signifying the fact of His Presence there. This city is extremely important to God like no other city because of the crucifixion alone. This is where God in Christ became a propitiation for the sins of humanity. Though Satan has pushed human beings to desecrate that city and especially the Temple Mount (Mt. Moriah where both Abraham intended to sacrificed the promised son, Isaac and where Jesus, God the Son, was actually sacrificed for us), God will ultimately cleanse, sanctify, and take up residence within that city. During the Millennial Kingdom, there will be what is called the “Mountain of Jehovah” (Isaiah 2:2-4), where the nations will come to physically worship the Lord. The overall tone of global society will be completely different from what it is now, with God (in Jesus) in charge of government. The government that Isaiah is referring to is the coming Millennial Kingdom. Even though the prophet speaks of Christ’s birth into humanity, obviously, Jesus did not reign as a child. In fact, though He rode into Jerusalem on the colt of a donkey in the Triumphal Entry, it was a matter of mere days before the Jewish religious leaders turned on Him and He was crucified. Jesus was not allowed to become their King then. However, nothing will keep Jesus from returning to this world physically and nothing will keep Him from setting up His Kingdom where He will rule supreme over all Creation for 1,000 years. Isaiah noted it and during this time, though He will rule with a rod of iron, He will be considered all of those names that Isaiah gives to Him: Wonderful Counselor, Mighty God, Everlasting Father, and Prince of Peace. Next time, we’ll discuss the Temple that will be built and exist during the Millennial Kingdom. Entry filed under: Agenda 21, christianity, Cultural Marxism, Demonic, Emotional virtue, eternity, Global Elite, israel, Judaism, Political Correctness, Politically Correct, Politics, Pretribulational Rapture, rapture, Religious - Christian - End Times, Religious - Christian - Prophecy, Religious - Christian - Theology, salvation, second coming, temple mount. Tags: abrahamic covenant, holiest place, holy of holies, israel nation, jerusalem, league of nations, messianic age, messianic kingdom, millennial kingdom, millennial reign of jesus, premillennial theology, premillennialism, shekinah glory, united nations. President-Elect Trump’s Position on Israel	What Can We Expect During the Millennium, Part 6? One can preach about the Truth and yet shun Truth. We don’t get to decide what are facts not what are relevant facts to those that live them inside and out. To speak about Jesus and the times of the Universe is to acknowledge Truth in its entirely. We can not shun the light for if we do it means that we are possesors of darkness. And didn’t I receive an article from you praising Hillary in spite of the web of deceit and corruption that follows her everywhere? The woman is pure evil yet you voted for her. What you’re telling me about truth certainly applies to you as well. You likely believe all the condemnations, questions, and accusations directed at Hillary are part of the so-called “fake news;” that it’s all a GOP plot to bring her down. The problem is that Hillary is too well protected, thanks to her Foundation, where pay for play seems to have been a matter of course. This is in spite of the FACT of 30,000 emails that provide an inside look at the DNC and Clinton herself. Rather than consider those though, many on the left prefer to rail against Julian Assange as the “culprit” for stealing and then releasing those emails. But what about the CONTENT of those actual emails? Former DNC Chair Debbie Wasserman-Schultz resigned in disgrace because of them and how they portrayed the DNC as doing whatever it took to bring Bernie down and to essentially LIE about Trump as well. What about those? Hillary was in on at least some of those. But you “trust” her. I trust her to do only what is best for herself. No mainstream news source that leans to the left took any time at all to delve into the content of those emails. Not one. I’ve read some of them and they are extremely damaging. Again, these are actual documents circulating throughout the DNC about many things. Have you taken the time to read them? If you have or do, I’m wondering if you would still call Hillary “trustworthy”? She was willing to lie to bring down other candidates. That’s okay with you? Now that she is no longer a direct conduit of politics in Washington, we will probably see her “foundation” dry up. The latest rumors are that the Clinton Foundation paid for daughter Chelsea’s wedding, which would have been against the law if true. But is that simply another “fake news” item? In fact, is it only fake news when it accuses those on the left? It would seem to be the case. Regarding the 30,000 released documents, Assange didn’t write them. He was simply instrumental in getting them released. President Obama would like us to believe Russia was behind it, yet he has offered not one shred of believable evidence that proves Russia did what he accuses them of doing. However, this same President Obama had no problem trying to interfere in the Israeli elections regarding Netanyahu because Obama did not want Netanyahu re-elected. That’s common knowledge but President Obama has the temerity to say Russia allegedly tried to do what he (Obama) did? Such an attitude is hypocritical at best, with intelligent people seeing it for what it is. I’m truly amazed that people are unable to see Hillary for what she is but in most cases it’s because people don’t want to see the truth about her. They prefer their lies. After all, it was supposedly “time” for a woman to be president. I can name 10 women off the top of my head who are far more qualified to be president than Hillary. I can also name numerous black individuals who are far more qualified to be president than Mr. Obama. But in the end, please don’t make the mistake that I have faith in Trump. My faith rests in Jesus, not some politician. But you’re obviously new here so you haven’t read much of what I’ve been talking about for the past few years. You said in the article that wound up in my email box that you actually TRUST Hillary. You speak of truth as well. I’m not sure how you can rationally and logically support someone who has changed her position so many times, has lied, and has done whatever it takes to clear herself from any wrong doing. No, Hillary is not at all trustworthy. There is NO truth in Hillary. None. Like her husband Hillary is totally out for herself and she has people like you to thank, people who sadly do not know what truth is in the first place. Here is truth: Jesus died on a cross for your sins and mine. John 14:6 days He is way the truth and the life. No one comes to the Father except through Him. What do you do with that truth? Salvation is available only through Jesus (John 3). Start with THAT truth because it is by far the most important truth you’ll ever have to deal with in this life.